Getting the Yamato in 25 Days in that reasonable? I've been grinding to Yamato for 20 days need about 240,000 Research points to get it as I'm on Tier IX Izumo so is a reasonable timeframe for Tier X Ships about 1 month or can it be done faster. Duplicate Topic, Merged, User Warned. I've grinding towards Yamato for 20 days and need 240,000 Research points to get it so is it the same for all Tier X ships that itakes about 1 month to reach the T10 level or can it be done faster. If you have premiumID + camouXP100% + signlflagXP50%, you can reach to T10 from T9 in two days. Definitely reasonable, took me less than a month without premium time too. Could be faster if you mounted flags and camo. 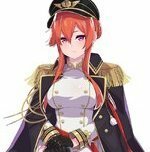 In a few days we will have another yamato potato in Tier 10 I guess. Maybe get a few more games under your belt instead of rushing to Tier X. It's not the "be all to end all" of this game. There are enough players with hardly any experience in tier X's as it is. I guess everyone starts off as a potato really no exception there. How did you not get bored? Was the Hindy even worth it? It's actually not that bad if youre divisioning. Yesterday i made 120k in the Kurfest because our division lost track of time simply because we were having a blast. I completed the Izumo to Yamato grind in 3 days so I don't see why you wouldn't be able to do it in 20. Yep I'll do it in 5 days, the 20 days was from Hashidate to Izumo. Are you trying in Co-Op mode or Random battles? Seen you Co-Op a few times with your Izumo now. Just got Yamato about 30 minutes ago, after 1067 battles (1040 in Co-Op and 27 in Random) and 201 Battles in Izumo, mainly did Co-Op as I'm still learning although my Victory rate is pretty good at 90% in Co-Op usually get killed when their are more bots on the friendly side. Does any of you guys have a life? Omg 3 days...must play non-stop and single. I could have gotten to Haku much faster if it had not been for the simultaneous drive to Senjougahara, Shima and Hindie. By the way, how're tiers 8-10 RU CA and Grozi line? I'm at tiers 7 and 8 respectively. Got bumped to tier 8 RU DD during the split. Honestly, under double digits. That`s commitment, I find that if I play the same ship too much I get really burned out. I have no idea how you guys manage it, I haven`t even gotten to my first t10.